Even before the BOC has approved the final plat of the “The Peninsula at Jackson Lake”, a brochure touting “Lakefront Liquidation” on April 27, 2019 has already been mailed out and received in the area. The final plat hearing before the BOC is Monday, April 22 at 6:00PM. Is this already a done deal? After looking at the preliminary plat, there does not appear to be a 30-acre lot anywhere in the subdivision. Additionally, we could not find a 6+ acre lakefront lot on the plat. If this new subdivision can get high speed internet, why can’t everyone in the county get it? Or is “high speed internet” considered to be “Hughes net” satellite internet? If the lots are for sale for $14,900 instead of $30,000 and $59,900 instead of $160,000, won’t the taxes collected be a whole lot less than the BOC was told? In fact, the property being developed was purchased for $3,500,000 but is only on the tax books for $880,000 (25% of the price). The BOC takes the bait every time when $money$ is mentioned. 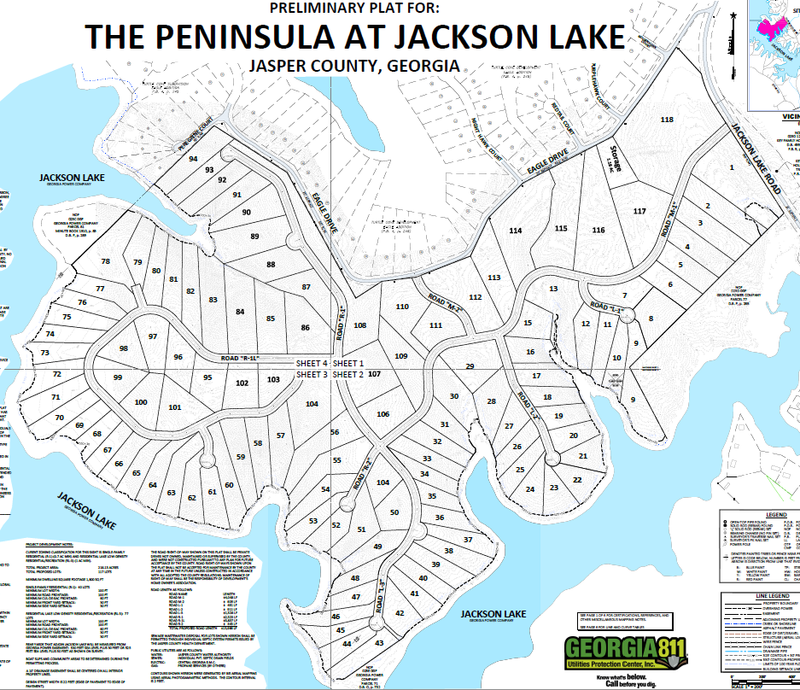 The sellers behind the brochure may be the same as “Premier Land Liquidators” or “Premier Land” which sells most of the land for lake developments such as The Peninsula at Lake James in North Carolina, Riverwalk on the Hiwassee River, Edgewater in Texas, and Lake Keowee developments in South Carolina. Look them up and you will see similar ads for all of them. These were some of the developments that were originally shown in the PowerPoint to the P&Z Board by the developers of The Peninsula at Jackson Lake. It will be interesting to see how long the BOC meeting lasts Monday night, since this “hearing” appears to be nothing more than a formality. If you have junk to take to the landfill, the month of April is the time to do it. 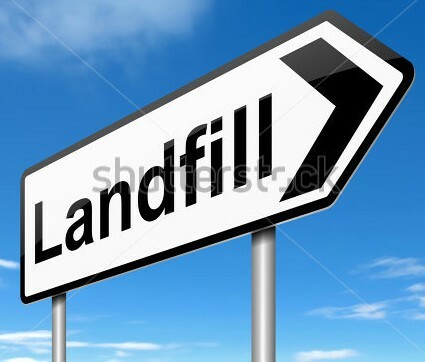 The BOC is allowing all Jasper County residents to bring in their junk to the landfill free of charge for the month of April. There is a charge for tires of $4 each; this is based on last year’s fee. Thursday and Friday – 7:30 a.m. – 4:15 p.m.
Saturday – 8:00 a.m. – 4:45 p.m. Tomorrow night, April 11 at 6:00PM, the P&Z Board will hold a public hearing on the final plat for the Peninsula at Jackson Lake, the new subdivision on Jackson Lake Rd. 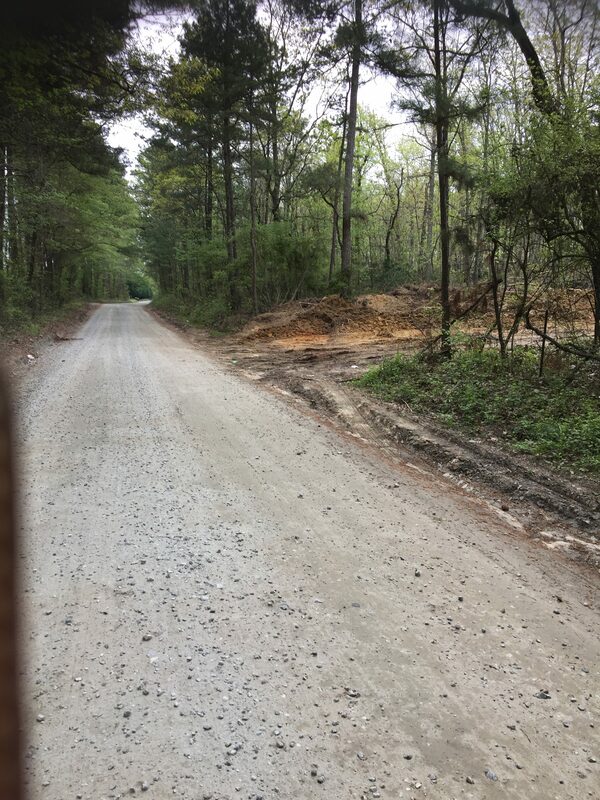 According to the Jasper County Zoning Ordinance, the final plat is supposed to be approved only after the roads are completed, the water lines are in, the access lane is in, etc. We will find out tomorrow night if all these things are complete at the hearing. 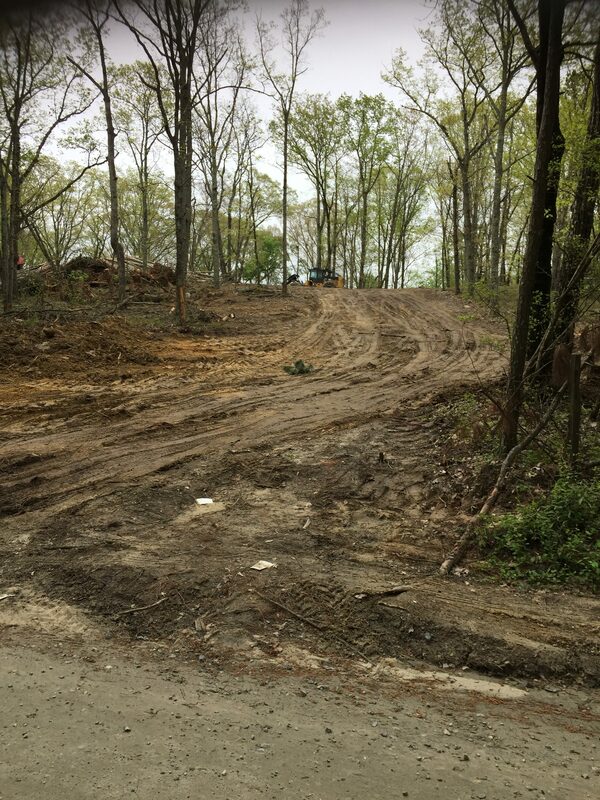 On Friday, April 5 around 1:00PM, TWG received photos and a call about a logging operation on Barnes Mountain Rd. 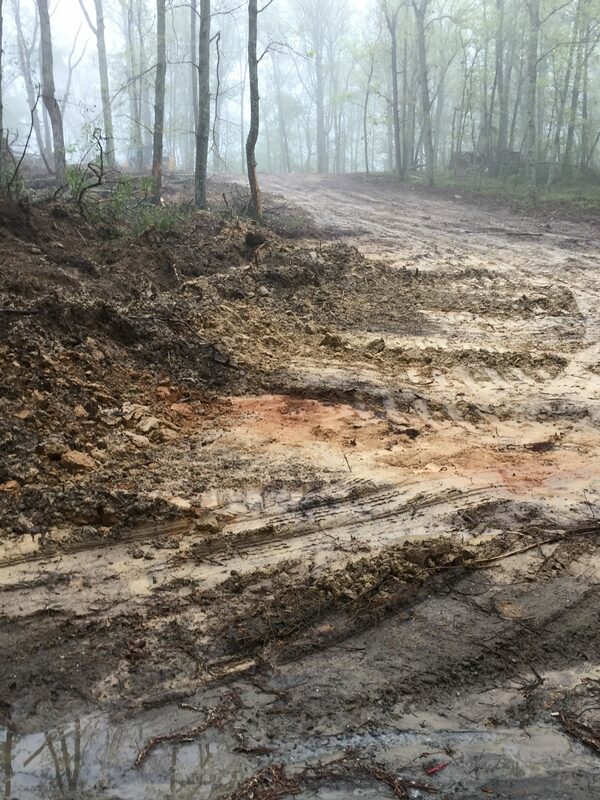 The information received with the photos stated that there was no gravel (as required), no culvert (as required), and no silt fence (as required). You can see this is true from the pictures made on Friday, 4/5/19. So when it rained on Saturday night, TWG again received updated pictures on Sunday morning April 7. 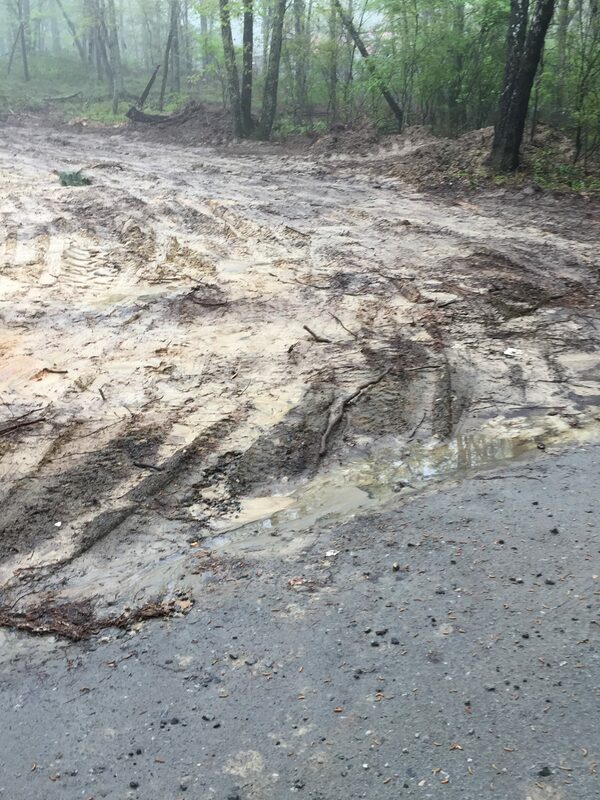 You can see from these pictures taken 4/7/19, the mess that the loggers and the rain made in a mere 24 hours. It seems that all Shane Sealy does is give people a permit and let them do whatever they want. Why is there never any follow-up? The county commissioners and the county manager must think all this is OK. They must think it is OK to ruin our county roads and continue to waste money by buying more gravel. They must think it is OK to waste the time of the Public Works people, who have to fix what the loggers tear up because Shane is not going to make sure the loggers follow the rules. The loggers are also encroaching on a spring that feeds a pond on adjoining land. This spring is also the watershed for Herds Creek. No silt fence is installed to protect it. This problem is ignored as well. If our county employees don’t do their job, who cares? They still get a raise and they still have a job. Our county manager does nothing and our Commissioners do nothing while our roads are being ruined. WAS THE PLANNING & ZONING BOARD AND THE BOC SNOOKERD ABOUT THE SPECIAL EVENT TEXT AMENDMENT? There have now been two hearings about allowing a “Special Events Business” to operate in the Agriculture Districts of the county. The first was before the P&Z Board, and applicant Julie Rowland had many of her “neighbors” there to tell the board that they had no objections to her wedding venue business. Well, why should they? Only one of them lives in Jasper County. The rest live elsewhere and only own property in the area. After reviewing the Board of Assessors website, we found that Steve Thompson, who said he was the HOA President of gated subdivision The Farms at King Plow, actually lives in Eatonton. Steven Young, the next door “neighbor” who he had no problem with it, lives in Griffin. Another “neighbor” that owns property lives in Florida. Deborah Shaw, who also spoke in favor and owns several lots with her husband, King Shaw, lives in Atlanta. The people that own property directly across Post Rd. also live in Atlanta. Only One person that spoke, Mr. Dailey, actually lives on the property in the subdivision. None of the others that spoke even have houses on the property, according to the BOA website. Of course, a wedding venue or any other special event is all OK with them, because they will not be the ones listening to the noise or dealing with the traffic or anything else whenever there is an event. See more information about the P&Z hearing by clicking here. Monday night (April 1st) at the BOC meeting, there was another public hearing; it was considered the first reading of the text amendment. The text amendment is still not up on the BOC website for observation by the public. The Monticello News has also failed to give much coverage to the controversial amendment to the county code. The applicant, Julie Rowland, said she brought forward the text amendment, and had been working with Shane Sealy on it for the last year. She said she wanted to have a wedding venue, and had no intention to interrupt neighbors. She again repeated that all her neighbors were in favor. Ms. Rowland bought the property in May 2017. 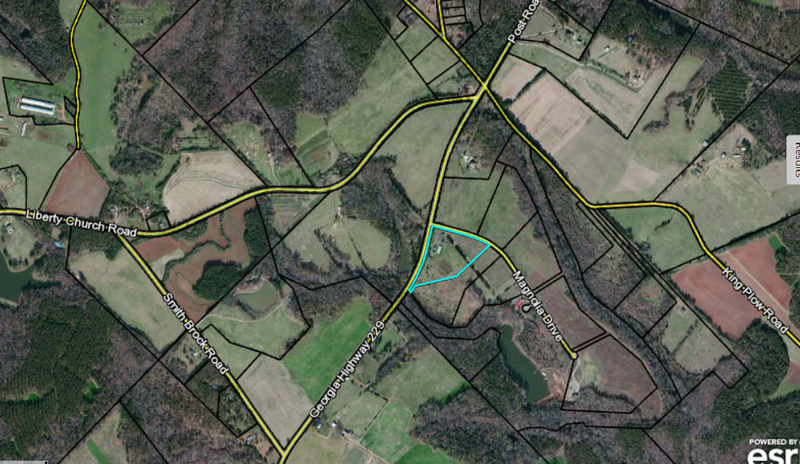 This property is located on Post Road between Smith Brock Road and Liberty Church Rd. And even though the text amendment is to help her establish a business, it will impact every single person in the AG district if the text amendment is allowed. 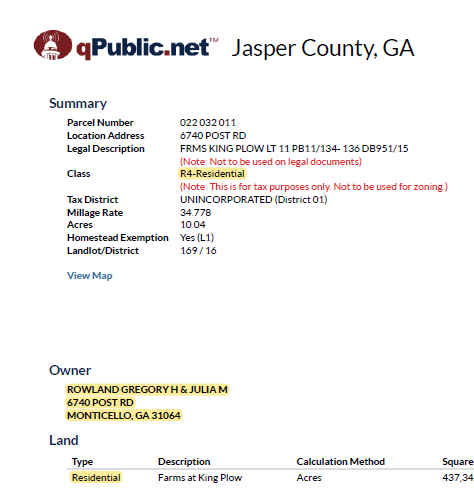 Additionally, Ms. Rowland’s property is zoned RESIDENTIAL, not AG according to the BOA records. Tom Joye, with the Chamber of Commerce, was also for the text amendment. He said a well organized and well regulated center would be a boon to the County. She told the BOC that these discretions leave the process open to corruption with possible bribes and kickbacks to get permit. Scott Harris, who lives next to Bennett Cove, told of his problems with that “wedding venue” and the lack of enforcement. He suggested that the BOC consider a variance instead of changing the rules for the entire county. He suggested the use of VP Zoning (Village Plan which allows mixed uses) for the applicant and her subdivision. Cathy Benson said that passing this text amendment would be a blatant disregard for everyone in AG district and those that came here to live in AG district. The Sheriff asked to speak and said he and David Ozburn (county attorney) could work together to make the text amendment enforceable from the Law Enforcement standpoint. Comm. Bruce Henry seemed to be the only one that thought about the consequences. He said, “The term Receptions leave this wide open. It should be stated as wedding receptions.” He also agreed that #6 (corporate events) and #7 (at the discretion of the P&Z Director) should be removed because there are so many wide open options. He also thought a listed curfew, for when the event has to be over, was appropriate. Comm. Pennamon directed Shane Sealy to interject those suggestions into the text amendment. Even with changes, the BOC MUST consider all the people living in AG district that this will affect to accommodate ONE person who will have lived here 2 years in May. It is our opinion that there should be NO text amendment allowing special events or special event businesses in the AG district. The BOC should consider rezoning the private subdivision to a Village Plan as suggested at the BOC meeting or having Mrs. Rowland ask for a home occupation variance. The BOC needs to consider the people that have bought property in Jasper County in the AG district. The BOC should not approve a text amendment that will destroy the AG district of Jasper County. The biggest reason people want to live here is for the peace and quiet and enjoyment as well as for farming. The P&Z Board voted 3-1 last night to allow “special event center” businesses in the agriculture districts of the county. This new designation was pushed by the P&Z Director and the Chamber of Commerce, and according to Tom Joye, Chamber President, “they” had been working on this for quite some time. This text amendment is about allowing special event businesses in AG district to operate 24/7. This is not about an annual or infrequent special event. According to the “special event text amendment”, which no one from the public had seen prior to the meeting, the P&Z director will have discretion over what events will be allowed. This is the same P&Z director that has done nothing to stop the events being held illegally on almost a weekly basis at Bennett Cove for years. The meeting was well attended, and the room was full with people on both sides of the issue. Bennett Cove was brought up repeatedly as a prime example of why NOT to allow special events in the AG District. According to Mike McCumbie, P&Z Vice Chair, this new text amendment will show that Bennett Cove is operating outside the law. Say what? Everyone knows and has known it is operating outside the law, and nothing has been done about despite numerous and continuing calls and complaints to the P&Z director, 911, and the Sheriff’s office. People against the special event text amendment brought up Bennett Cove as the prime example as to why this is not needed in Jasper County. The P&Z chairman repeatedly said that Bennett Cove was an enforcement issue. The planning and zoning director is over the “enforcement” of the zoning ordinances, and his director supervisor, the County Manager Mike Benton and Comm. Bruce Henry attended the meeting. They have allowed and ignored the incompetence and/or the willful neglect of the P&Z director to enforce our ordinances. Special Event Center planned off Post Road in a gated subdivision. Julie Rowland was the applicant for this text amendment, which she emphasized, was not about her proposed business, but about allowing her to be able to apply for a business license to host special events such as weddings, baby showers, and anything else allowed by the text amendment (which is pretty much anything the P&Z director deems OK). She said she wanted to make her property her homestead and her business. Her plan was to utilize her 10 acres to generate money by hosting small weddings and small events. She said her type of business would breathe new life into the downtown square and help other local vendors. Mrs. Rowland said they could/would work through traffic, noise, curfews, etc., but as a note, the text amendment passed does not do that. The best part is, Mrs. Rowland went to her neighbors first and has them and surrounding property owners on board. Many spoke and said “all neighbors are in favor” of her plan. The Chamber is in favor. The Chamber Director spoke of the need for this type business so that the schools could hold their Jr-Sr Proms at such a location instead of going out of the county. The Chamber President said “they” had been working on this awhile, and Jasper County needed to move into the future. Problems with the text amendment as passed…a framework, but no meat and no enforcement mechanism. Many people that spoke were very concerned about what else could be and would be allowed. One person from Henry County, who has land in Jasper and planning to retire here in a couple of years, said once you open the gate, you will not be able to stop it. She pointed out that the amendment had no enforcement or stipulations in place such as night time curfews, when the events could be held, how often they could be held, contacting neighbors and surrounding property owners, etc., which was a serious mistake. Others brought up that another serious mistake was allowing the planning and zoning director to have discretion as to what would be and not be allowed. This leaves what is allowed wide open. Public not allowed to have, see, or read the text amendment before meeting. Even the P&Z board did not get a copy of the proposed text amendment until the day before the meeting, the public was never allowed to see it in advance. 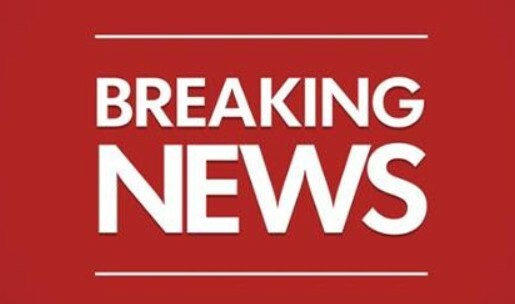 It was brought up that the reason for a two week notice was to allow the public to know what was being voted on. This did not happen and when it was pointed out, it was ignored. Several people living in the Bennett Cove area spoke, and all were concerned with opening the door for more abuses. One person asked the real question—why can’t country be country? Why do we need businesses in AG district? They also questioned who do you call on weekends when there are loud “events”? The board of commissioners will hear this on Monday night, April 1 at 6:00PM. This quick hearing by the BOC will give citizens little to no time to see or read the text amendment that was presented at the P&Z meeting. This amendment is NOT on the BOC website. We will try to get the amendment posted tonight or this weekend. Remember: This is not about a special event. This is about allowing a Business to operate in the AG district and that business will hold special events. This will include such things as corporate events, which no one could answer what exactly is a corporate event. At Bennett Cove weddings turned into other things, such as all night music and X-rate movie parties. If you are interested in “moving Jasper County forward” or keeping the rural nature we have—as described in our Comprehensive Plan—attend the meeting Monday night, April 1 at 6:00PM. Once again our P&Z director is trying to add the “special event” designation to the Zoning Ordinance as a permitted use in the Agriculture zoned districts in the county. TWG can find no record of a Special Events Ordinance being in place in Jasper County. The P&Z Board held a hearing on November 30, 2017 on a special events ordinance, but so many questions were presented that it was not passed by the P&Z Board. We can not find any BOC agenda that has brought the ordinance up to be approved or denied. We can not find a Special Events ordinance on Municode for Jasper County. It appears that there is no Special Events Ordinance to govern any special event or a special event permit. When questions arose before about the proposed Special Events ordinance, did the P&Z director go back and modify the ordinance? Obviously not since no hearings have been held. Those questions still exist, and must be answered before any special uses are permitted in the AG districts of the county. Will the special event permit be specific, such as a wedding venue, or once a permit is obtained will anything be allowed, such as all night music, a bed and breakfast,etc. Will the permit be for a specific time period or once the permit is issued, can an event be held on the property anytime and repeatedly? Who is going to determine “the rules” if no ordinance is in place, and what will the penalties be for violations? Will neighbors/property owners within ¼ of a mile be notified before any event is approved and have a say-so, or will they just have to put up with the event traffic and noise? What will the cost to Jasper County be for supporting the event, such as traffic control, EMS, etc. What are the restroom facilities requirements, insurance requirements, etc? Why do people move to an agriculture area? Mostly so they can live in peace and quiet, and so they can have animals – cows, horses, goats, sheep, and yes, even cats and dogs. They moved to the AG district to get away from noise and confusion. But now we have a public hearing coming up to have a “special event center” in an agricultural area. If the county does not have an ordinance already in place, then there is a likely possibility of problems like we have had before, where you had/have loud noise till 3 o’clock in the morning, lingerie parties, alcohol being served illegally, and other issues that brought much distress to the neighbors and animals in the area. We agree that everyone should have private property rights. 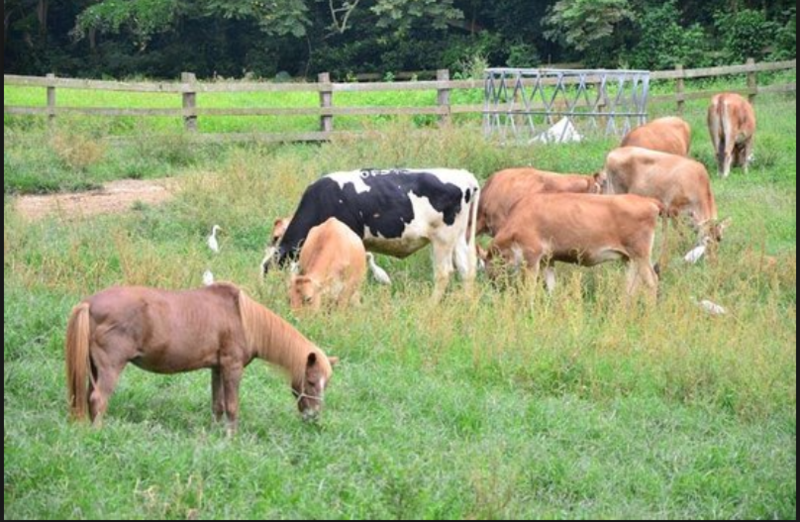 However, those rights can not encroach on the peace and quiet and privacy of surrounding property owners, and can not affect their property values or livestock in a negative way. Attend the public hearing Thursday night at 6:00PM in the BOC meeting room, downstairs in the Courthouse.